That is a real nice 63. I have a 63 that I would like to post pictures of but like Kathy J. I don't know how to yet. I'm not only new to Mopars, I'm new to computers. Those look like the fabricated valve covers from 440source.com. Any problems with them? How do you like them? 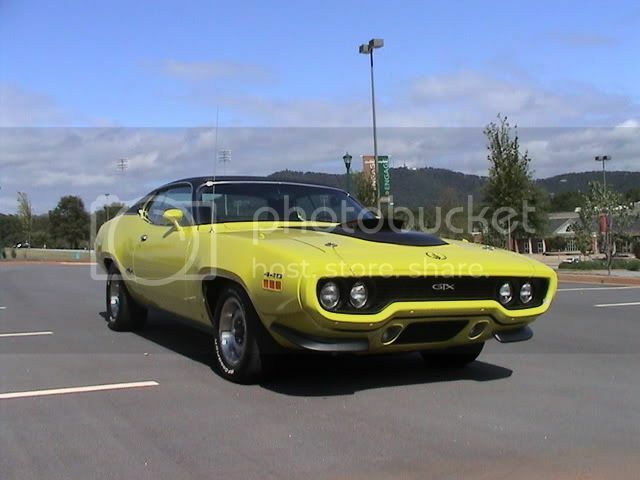 Here's my 1970 Road Runner. i would like to post pic of my 65 coronet but not sure how to do it can somebody walk me through it. last time i tried it said i had to resize pic and i dont know how to do that. and machined way too small at the bottom..
for a nut to sit flat, so I tried some 1/4" washers under the nut..
screws with about 3-4 1/4" lock washers to fill the machined area..
world will keep them from squeezing out.. Thanks for the reply. I'm guessing a 3/4" long bolt would work with an allen head? I'm supprised, with the price that they charge, you would think they would be a little more user friendly. Something like that would probably work, and look better than what I've got. Oh wow! A cross ram? Thanks for posting. All times are GMT-6. This page was generated at 11:15 PM.